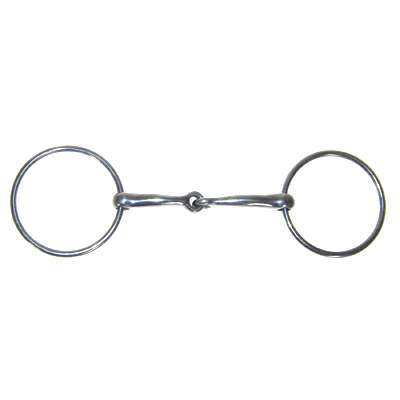 This is a loose ring bit which gives motion of the mouthpiece on the ring and usually relaxes the horses jaw and increases chewing of the bit. The Joint creates a snapping action with the rings and mouthpiece. 3'' rings.10mm mouth.Stainless steel.